On 16 December 2016 John Hopkins celebrated his 80th birthday, and Downing College was looking both to mark the occasion and to create a lasting tribute to his outstanding contribution over more than 40 years to the teaching of Law. To give John’s many devoted former students the opportunity to show their appreciation for the support he gave during their time at Downing and beyond, we raised funds to name his former room on P staircase in his honour. The money that was raised went to the College Endowment Fund in support of the provision of small-group teaching in College, a cause very close to John’s heart, and, we hope, a fitting way to ensure that the supervision system that lies at the core of a Cambridge education may be safeguarded for the future. On Friday 6 January 2017 we held a celebration birthday dinner at Downing, to which John’s former students were invited. The names of those donating £1000 or more to the project were included on a donor board that was displayed at the dinner, and the board was eventually hung in a prominent position outside the room dedicated to John. 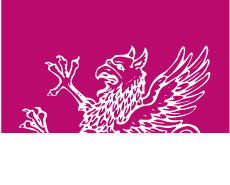 We are very grateful to those who supported this project, which is of particular significance to Downing as it was the first time the College recognised a living Fellow in this way.